Feel like a Samurai warrior on this fun and interactive day tour. It’s the perfect entertainment for children and adults alike. You won’t have to worry about language barriers, as you’ll go on a guided tour with detailed explanations in English about everything Samurai-related. 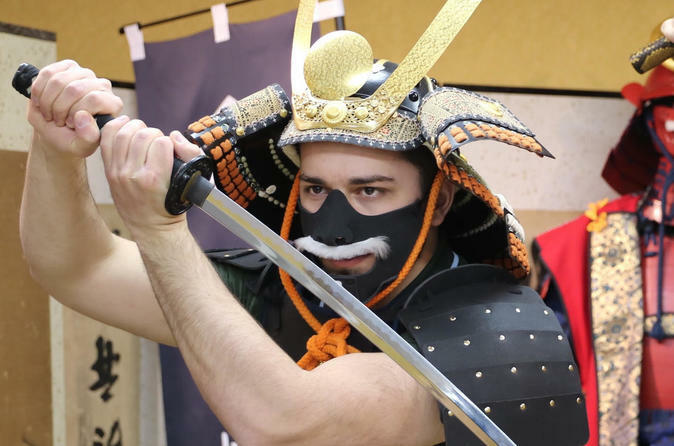 If you’ve always wanted to try on Samurai armor, this tour will give you the chance to, as well as holding replica swords. A throughly unique and interactive museum experience. 10am,11am, 1pm, 2pm, 3pm 4pm, 5pm, 6pm, 7pm on Wednesday, Thursday, Friday, Saturday and Sunday.